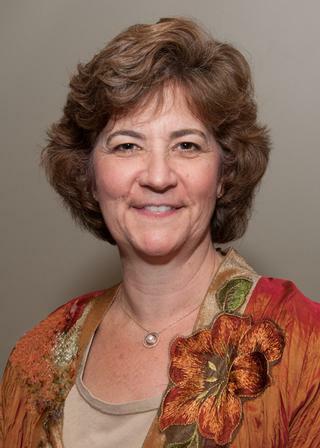 Linda Chaudron, MD, MS, is Professor of Psychiatry, Pediatrics and Ob/GYN, Associate Vice President and Senior Associate Dean for Inclusion and Culture Development at the University of Rochester Medical Center. Dr. Chaudron's clinical and research expertise is in women's mental health, with a particular focus on perinatal mood and anxiety disorders. Dr. Chaudron's research explores various aspects of perinatal depression and anxiety. Dr. Chaudron has published extensively in the area of screening for perinatal depression and anxiety and works in collaboration with pediatric and obstetrical providers to improve identification of new mothers in need and at risk. In addition, she has worked extensively in the area of workforce diversity and in education regarding diversity and inclusion in academic medicine. "Guide to America's Top Psychiatrists", Consumers' Research Council of America. "Who's Who in Medicine and Healthcare"
National Institute of Mental Health/North American Society for Psychosocial Obstetrics and Gynecology Junior Investigator Award. Lewis V, Martina CA, McDermott MP, Chaudron L, Trief PM, LaGuardia JG, Sharp D, Goodman SR, Morse GD, Ryan RM. "Mentoring Interventions for Underrepresented Scholars in Biomedical and Behavioral Sciences: Effects on Quality of Mentoring Interactions and Discussions." CBE Life Sciences Education. 2017; 16(44): 1-11. Cellini MM, Serwint JR, Chaudron LH, Baldwin CD, Blumkin AK, Szylagyi PG. "Availability of Emotional Support and mental healthcare for pediatric residents." Academic Pediatrics. 2017; 17: 424-430. Bates C, Gordon L, Travis E, Chatterjee A, Chaudron L, Fivush B, Gulati M, Jagsi R, Sharma P, Gillis M, Ganetzky R, Grover A, Lautenberger D, Moses A. "Striving for Gender Equity in Academic Medicine Careers: A Call to Action." Academic medicine : journal of the Association of American Medical Colleges.. 2016 Aug 0; 91(8):1050-2. Author List: Giannandrea, SAM, Chaudron, LH, Grady-Weliky, TA. Author List: Leibovici A, Chaudron L.